Julia Riccardi AC spent five years in the U.S. Army Reserves and thought the military would be her vocation. But she is now working toward a career in the sciences. The college's new partnership with VetLink is helping to make a Smith education possible for more veterans like Riccardi. 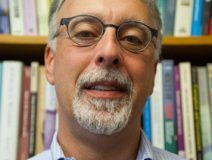 In a New York Times op-ed about U.S. policy in Syria, Steven Heydemann, the Janet Wright Ketcham 1953 Professor of Middle East Studies, writes, “The most effective diplomatic means for the United States to regain leverage in Syria is for Washington to ... recognize a different government as the legitimate representative of the Syrian people.” For many students, going gluten free is not just a fad, it’s a serious health issue. 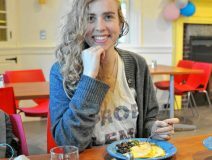 Smith College is one of the first colleges in the nation to formally acknowledge celiac disease as a disability and provide a gluten-free dining room and meal options to keep celiac students healthy. 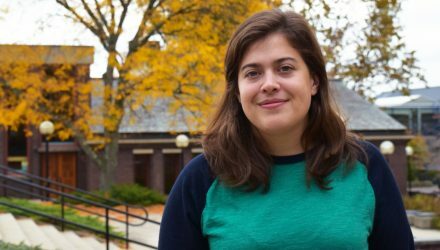 "When it opened, there was this moment of relief," said Ashley Rohall ’18. "It was glorious." 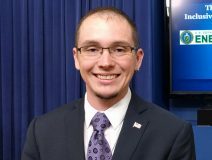 Jordan Crouser ’08, visiting assistant professor of statistical and data sciences, recently participated in a White House Conference on Inclusive STEM Education for Youth of Color, which brought together researchers, educators, policymakers and community leaders from across the nation to discuss ways of increasing access to STEM. Tuesday, November 15, is National Philanthropy Day. Make Smith—and women's education—your priority by joining our Smithies Give movement and making a gift to The Smith Fund. As the college gets closer to the culmination of its Women for the World campaign, the fund aims to raise $1 million from 2,500 alumnae, parents, students, faculty and staff on this one day. Please help power Smith with your gift so Smithies can change the world. Celebrated children’s author and illustrator Natalie Babbitt ’54 died on Oct. 31, at her home in Hamden, CT. She was 84. Babbitt is best known for her novel Tuck Everlasting, which explores the concept of immortality in a children's book. It has been made into two films and a Broadway musical. Read the latest issue of Global Impressions, which offers a forum for Smith students and alumnae to showcase short, nonfiction reflective essays on their intercultural and interlinguistic encounters and experiences abroad and at home. Supported by the Lewis Global Studies Center, the journal aims to foster critical thinking about what it means to live in a culturally and linguistically diverse world.